When parents separate, it can be a traumatic time for children which can affect them for many years and can impact on their relationships when they become adults. To avoid these risks, both parents need to concentrate on what is best for their children, to reassure them and to make arrangements about where they will live? and how they will see the parent they no longer live with? This can be hard at a time when your own emotions are often raw. There are also often decisions in respect of children's upbringing which cannot be resolved, such as what school they should go to? and what their name should be? also, whether they can be taken out of the country by a parent if all parties do not agree. At Wright Solicitors, we can help you deal with these issues calmly and in a way that stays focussed on what is best for your children. We try to encourage you to resolve any disputes in a constructive, conciliatory and non-confrontational way. 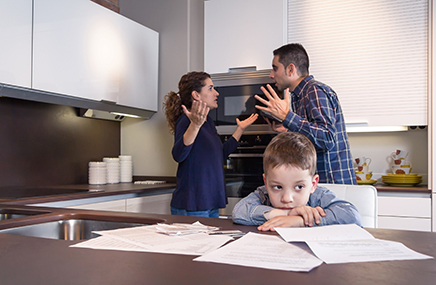 We can help you come to an agreement that puts the needs of your children first and we can direct you to mediation services to avoid the need to have to go to court. If your matter does have to go to court, we can provide you with clear advice and firm and strong representation in the court room. Wright Solicitors have a particular expertise in advising and representing grandparents who are worried about losing touch with their grandchildren. In some cases, we help grandparents apply to have their grandchildren to live with them.